Directions: From Boulder/Denver take Hwy 93 to Table Mesa Drive and turn west. 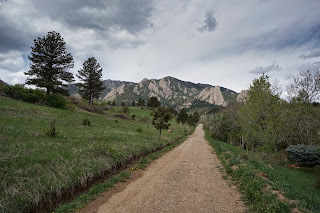 Make a right on Gillaspie Drive and a right on Stanford Ave. Stanford becomes Kohler Drive. Make a left on Deer Valley Road and park at the end of the street on the right next to the trail access sign. 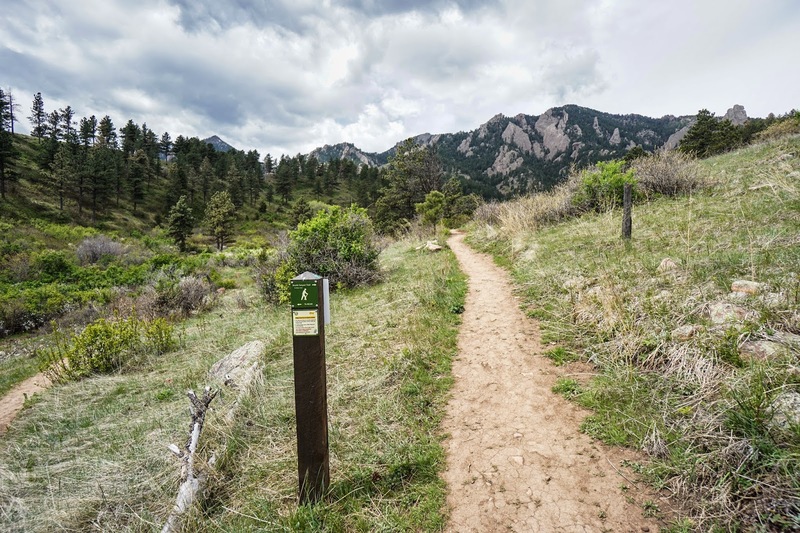 This is a neighborhood access point so please be respectful of private property. 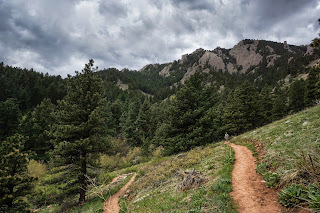 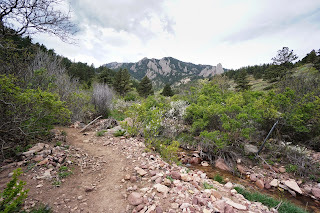 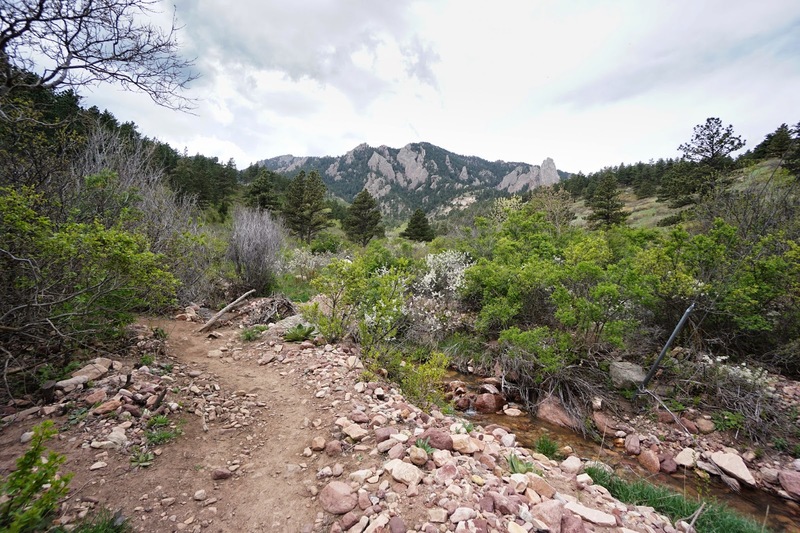 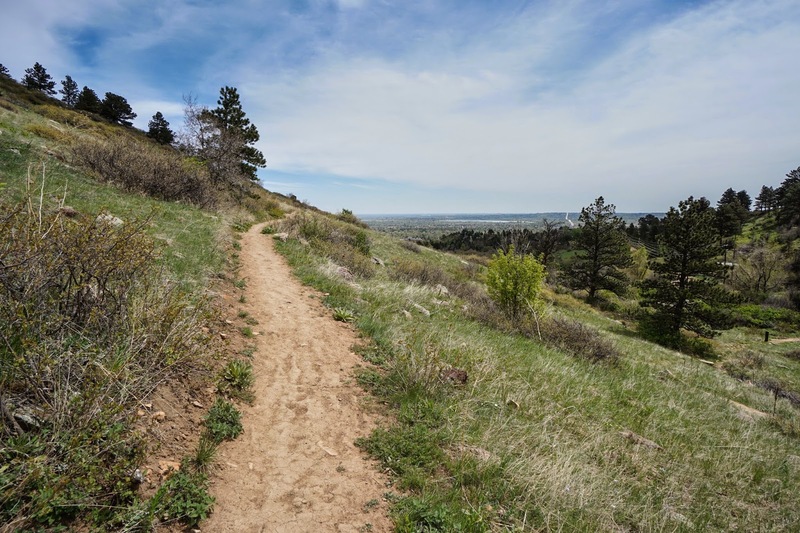 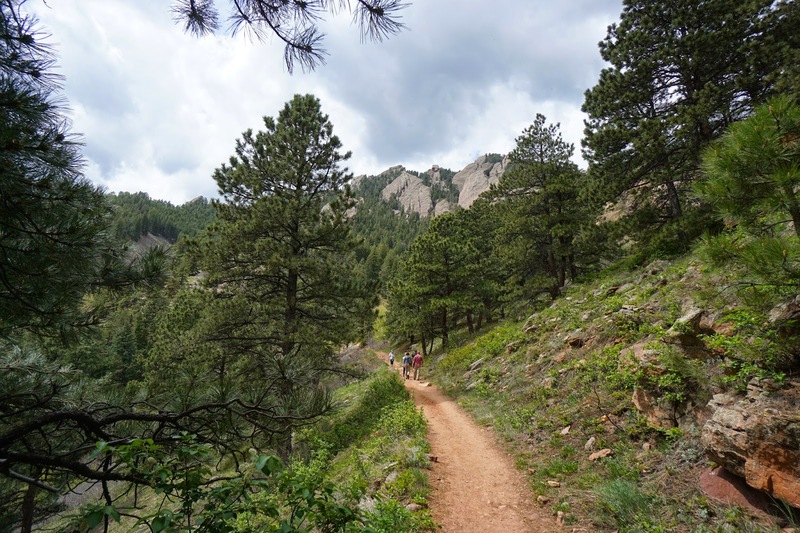 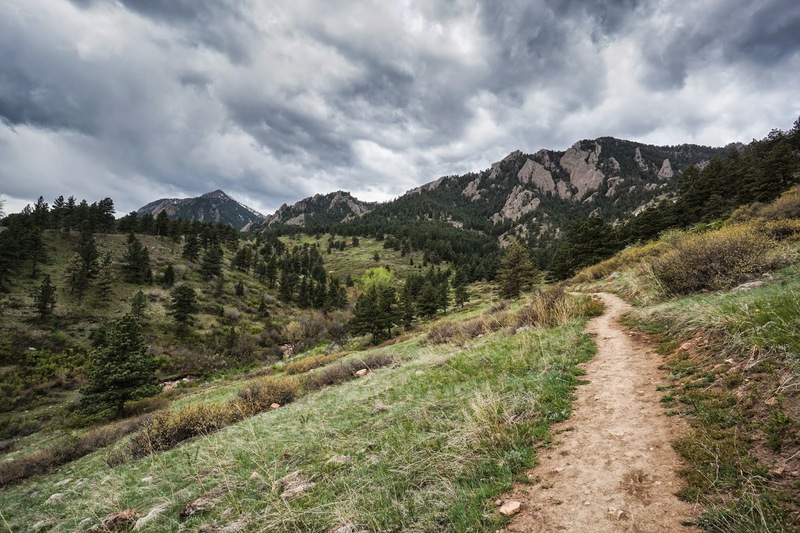 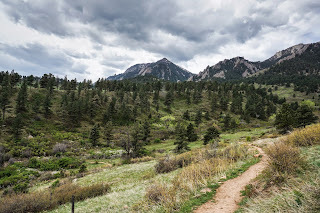 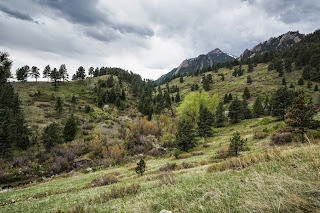 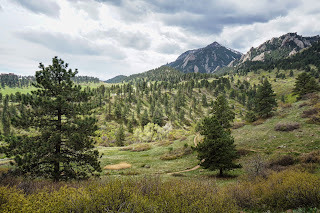 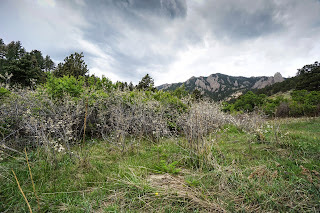 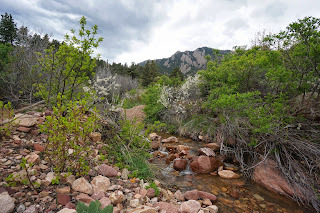 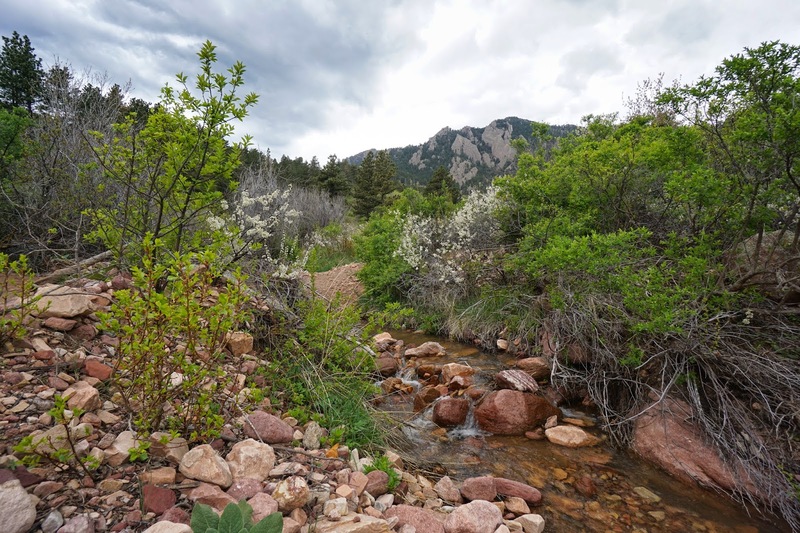 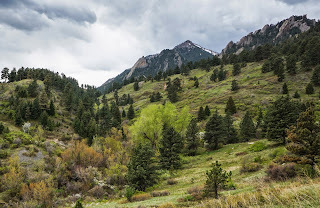 The Skunk Canyon/Kohler Mesa Loop is a terrific short and easy jaunt in the Boulder Foothills. 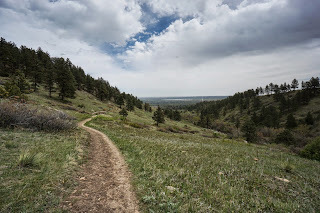 The trail leads up to connect to the Mesa Trail at the base of Green Mountain and provides terrific views. 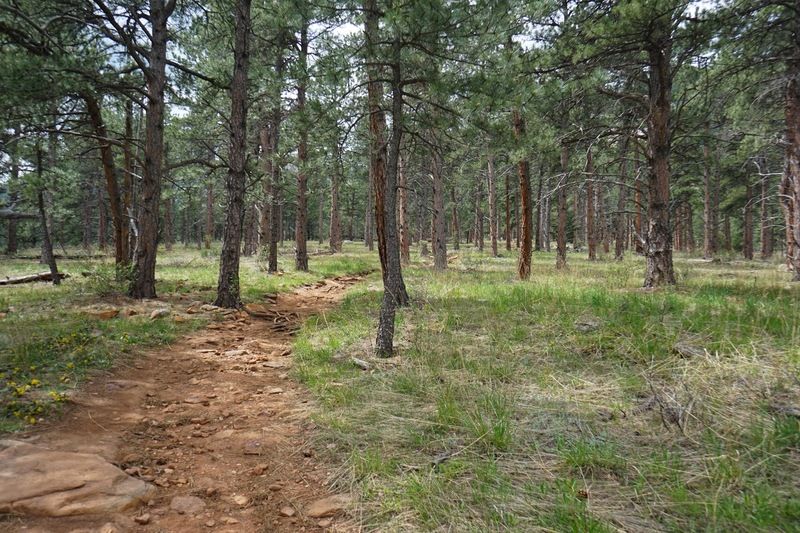 From the access point, follow a straight old dirt road west. 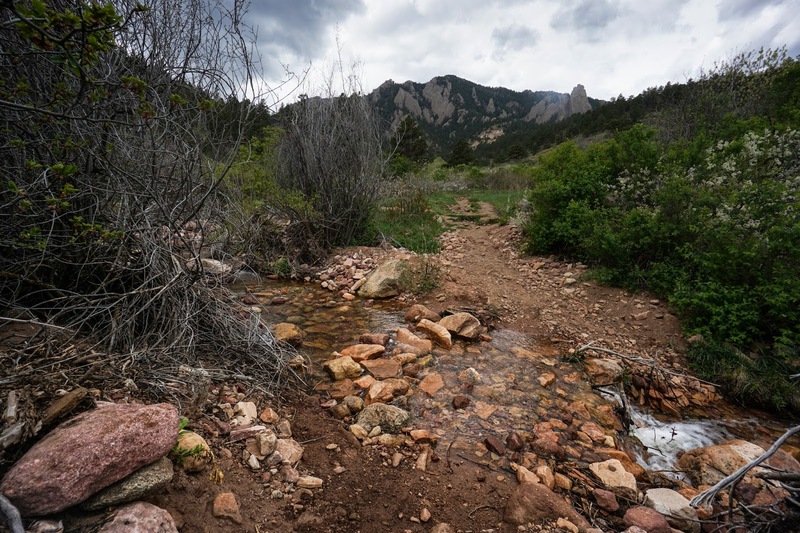 After just a short time you'll reach some power lines and cross a creek with noticeable flood damage. 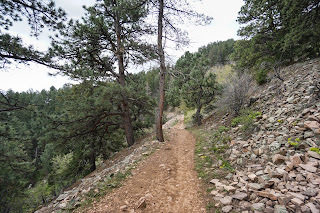 Here you start switchbacking up the canyon wall to connect with the Skunk Canyon trail. 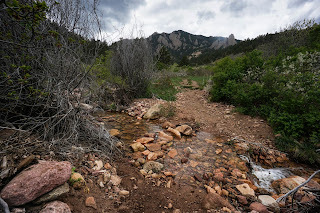 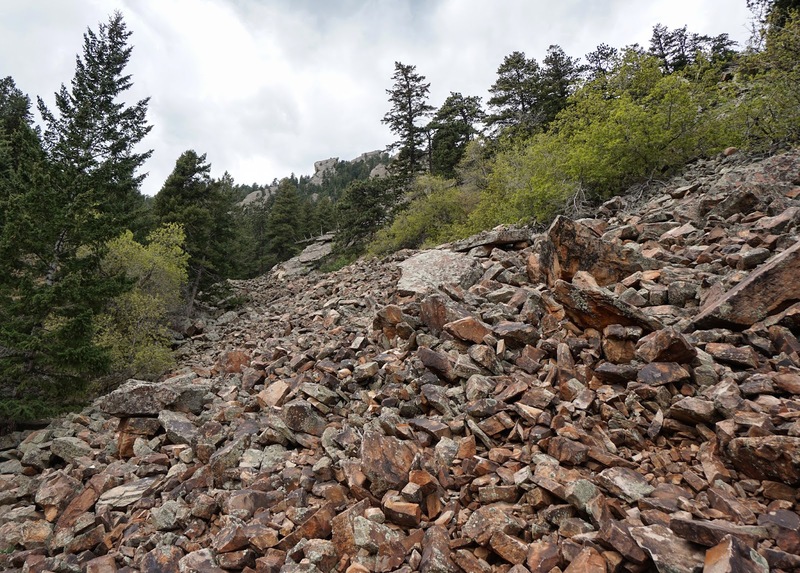 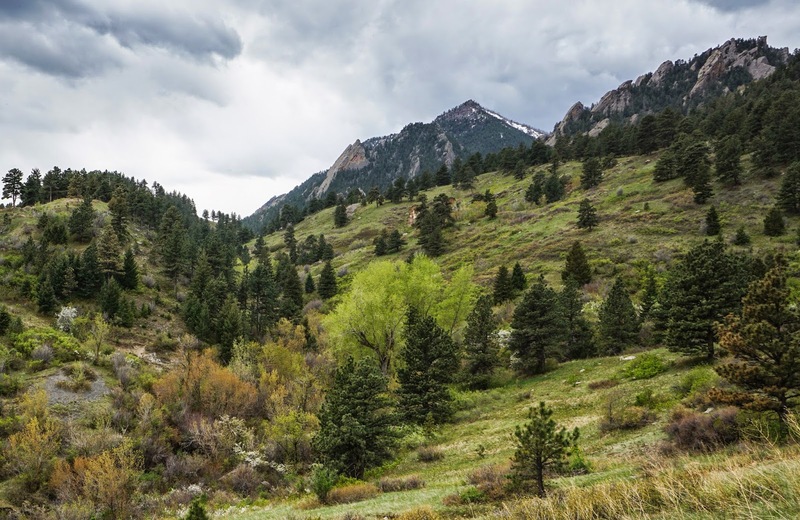 After some more switchbacks, and great views of Bear Peak rising behind Bear Canyon, you'll reach the junction with the Kohler Mesa trail. 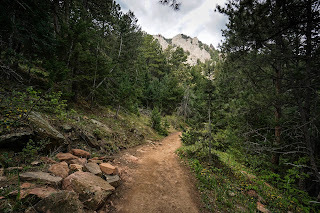 Turn right and follow the Kohler Mesa trail up to the top of the ridge. 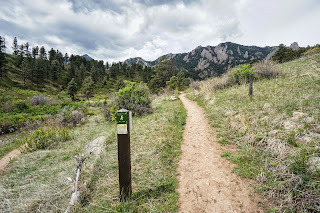 At another junction sign, turn left following the Kohler Mesa Trail uphill, towards Green Mountain. 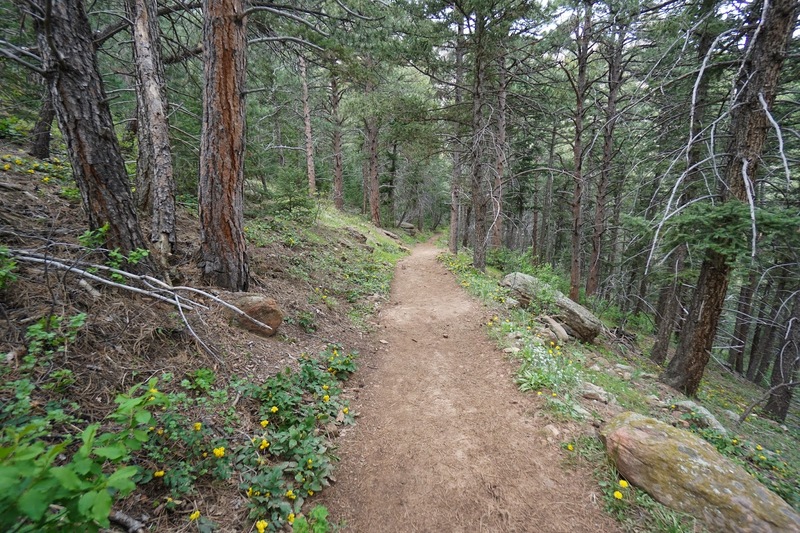 This section of the trail is quiet and peaceful as you climb gently through evergreen forest. 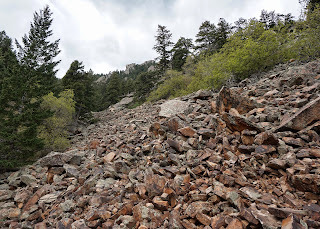 When you meet up with the Mesa Trail turn left as the trail skirts across boulder fields underneath Woods Quarry. It is not long before you'll reach the junction with the Skunk Canyon Trail. 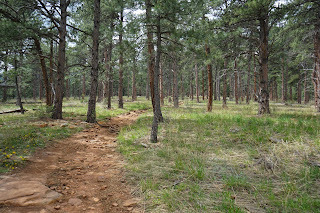 Turn left and follow the Skunk Canyon Trail back down the canyon to the creek that you crossed at the start of the hike. 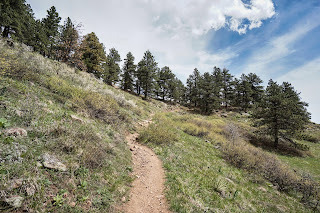 Be sure to turn around and check out the view as you exit Skunk Canyon, Green Mountain and Bear Peak are impressive as always and this trail provides a wonderful up-close view of them both. This detailed explanation of the map is incredibly helpful for anyone who plans to go. 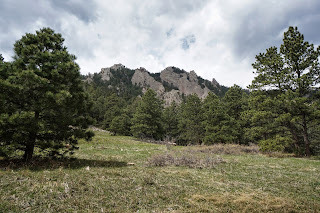 Thanks for posting and letting everyone know exactly what to expect on their visit.